Universities and research establishments from the UK and further afield are being invited to highlight their transformational work within the recycling and circular economy sectors. The Recycling Event has been launched with the involvement of eight key recycling trade associations. 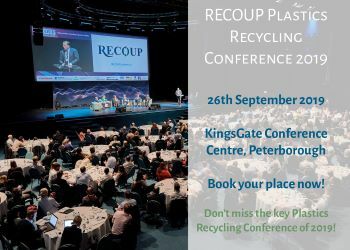 Taking place on 2 July 2019, The Recycling Event will be a cost-effective one-day major conference that is aiming to attract hundreds of delegates. It will be held at the Ricoh Arena in Coventry. Recycling industry trade associations have been heavily involved in developing the concept behind the event and are part of the editorial board that is devising the content for the four conference theatres as well as networking opportunities. Industry Council for Packaging and the Environment (INCPEN). Additional associations may be announced prior to the event. Networking areas will include a dedicated networking café, plus an on-site pub. Indeed, there will be a free to attend pub quiz from 6pm on 2 July. More networking events will be announced soon. Finally, there will also be an opportunity for the most cost-effective exhibition space in the recycling sector. For just £750+vat, exhibitors will get a table top stand including a table, two chairs, two event tickets and space for two pull-up stands. Spaces are limited and can be booked online. Delegates will pay just £85+vat to attend, making this the best value conference in the recycling sector. A £5 donation will be made from each ticket sold to the charity WasteAid to assist its good work in developing recycling and waste programmes in developing countries. Day-to-day event organisation will be done by Hanicke Robins Sanderson with the close involvement of the trade associations mentioned above.